When it comes to good old Southern cooking, the Yellow Hammer State knows just how to do it right. The state’s culinary traditions are testament to hard working people with a hearty appreciation for good food. The dishes we see on Alabama menus today are mouthwatering fusions dating back to Native American, Spanish, French, and African influences. State nut: Pecan. Native to Mexico, the pecan is a type of hickory. Pecans have been grown commercially throughout the state since the early 20th The nut is used for delicious pecan pies, pecan candy and pecan bread. State fruit: Blackberry. This juicy fruit is easy to grow and feels right at home in Alabama. It is used to make fruit pies, jellies and a wide range of desserts. State fruit tree: Peach. 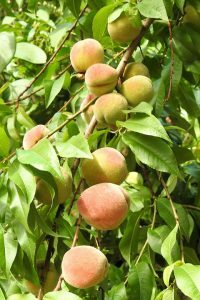 A true taste of the south, the peach is a versatile fruit that can be used to make pies, jellies or ice cream and is equally delightful eaten straight from the tree. State dessert: Lane cake. This is a bourbon-laden, layered fruit cake created by Emma Rylander Lane, of Clayton, Alabama. As well as alcohol, the layers incorporate pecans, raisins and coconut. Whether you live in Alabama or you’re just visiting, tucking into the state’s favorite dishes is a must. Don’t miss out on these mouthwatering meals. BBQ Pulled Pork: You won’t find finer BBQ anywhere. Alabama is renowned for its melt-in-the mouth pulled pork sandwiches. Whether you prefer tradition all Alabama white BBQ sauce, you cannot fail to enjoy. 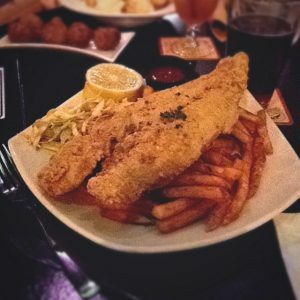 Fried catfish: Good old Southern fried catfish is a staple on the Alabama dinner table. Fried to crispy perfection, it’s often served up with home-cooked fries or hushpuppies and a side of fresh coleslaw. Country fried steak: You don’t have to cook your steak on the grill; you can country fry it the Alabama way in a delicious breading made with seasoned flour. Make sure you have some hearty peppered gravy to pour over the top. Shrimp and grits: You really know you’re in Alabama when you have a plate of shrimp and grits in front of you. This hearty meal combines succulent seafood with creamy cornmeal in perfect harmony. Fried dill pickles: With a spectacular blend of spicy batter and the sharpness of pickled dills, this dish is a favorite appetizer or side. Serve it up at a BBQ or your favorite football game with a cool ranch dip. Brunswick stew: When the winter months arrive, there’s nothing more heartwarming that a steaming bowl of Brunswick stew. This hearty stew combines potatoes, onions, chicken and pork in a spicy soup. Skillet fried cornbread: In Alabama you don’t have to wait until Thanksgiving to bring Skillet fried cornbread to the dinner table. It’s a perfect side dish to just about every meal whether its breakfast lunch or supper time. 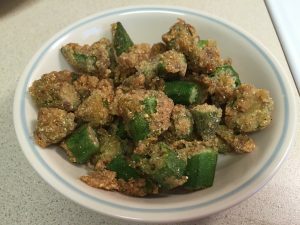 Fried okra: Whether you’re tailgating, having a potluck or simply serving dinner, fried okra is always welcome. These tender bites coated in seasoned breading will compliment any dish. Southern fried chicken: If you’re eating out in Alabama, you won’t be short of places to find top quality southern fried chicken. 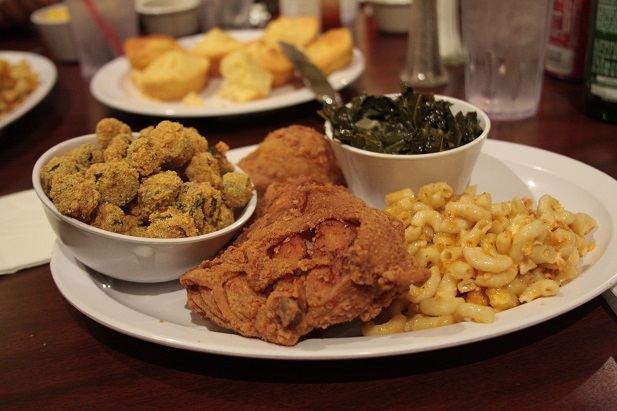 Check out the Lower Alabama Fried Chicken Trail where you can sample 10 unforgettable meals, each with a flavor of the Deep South. Biscuits and gravy: If you’re looking for a hearty Alabama breakfast look no further than fluffy Southern-style biscuits and sausage gravy. Add some fried bacon and scrambled eggs on the side, just because. Fried green tomatoes: If you want to experience the best fried green tomatoes in the whole of Alabama visit the Whistle Stop Café (just like in the movie) in Linden, Alabama. They serve breakfast, lunch and dinner Monday through Saturday. Don’t forget to save room for their freshly baked desserts. Pimento cheese: A scrumptious mix of cream cheese, cheddar cheese, pimentos, garlic and jalapenos, pimento cheese can be used to make a grilled cheese sandwich or spread onto crackers. 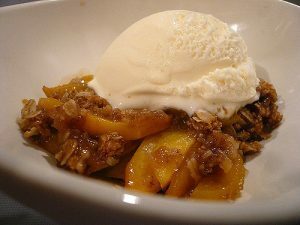 Peach cobbler: This is a favorite dessert of Alabamians, and why not, the peach is the state fruit after all. This sweet, sticky cobbler will melt in your mouth and leave you wanting a second helping. Boiled peanuts: Boiled peanuts are the ultimate Southern snack food. This staple dates all the way back to the Colonial era and is just as popular today as it ever was. Banana pudding: Banana pudding has been a Southern icon since just after WWII when recipes began sprouting up everywhere. Unlike other desserts, you can make this one in the summertime without having to heat up your kitchen with the oven. 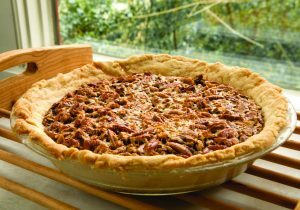 Pecan Pie: This delicious dessert incorporates Alabama’s state nut to its utmost advantage. Legend has it that the pie originated in Alabama in the 1800s. As well as traditional recipes there are also several flavor variations including: chocolate, maple, caramel, cinnamon, and pumpkin. All these flavors and textures come together in “Sweet Home Alabama,” and there’s nothing like Southern hospitality. If you’re entertaining in your home, the last thing you want is a problem with your home comfort system. Our expert team at All Seasons Heating and Cooling have been providing dependable and affordable residential and commercial heating, ventilation and air conditioning services to the Scottsboro and surrounding areas since 1978. We are dedicated to providing a high-quality, stress-free service. Contact us today to find out how we can help you improve your indoor air quality and to schedule an appointment.